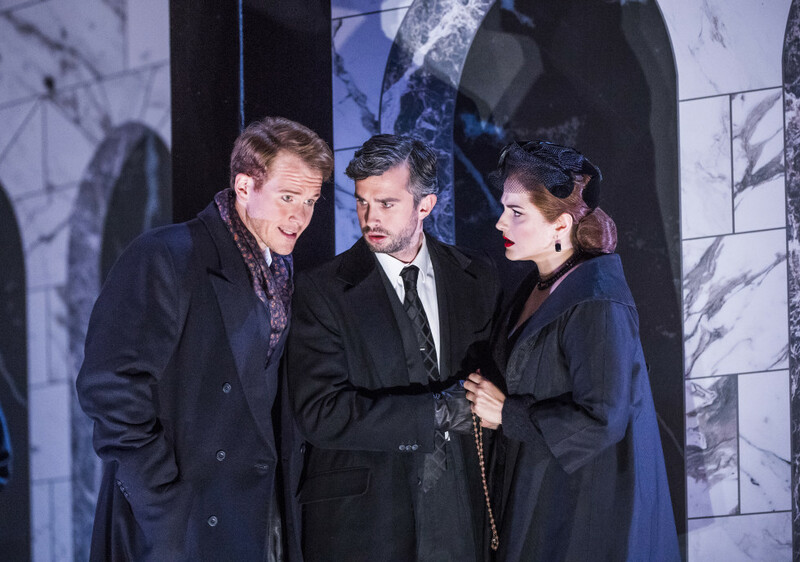 We catch up with tenor Anthony Gregory about his return to Glyndebourne to play Don Ottavio in our acclaimed production of Don Giovanni. 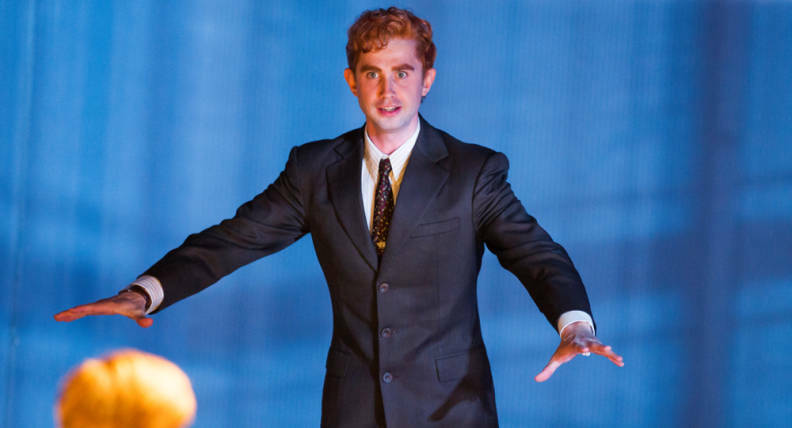 Anthony Gregory is a familiar face at Glyndebourne, after appearing in A Midsummer Night’s Dream as Flute in Festival 2016 and in The Turn of the Screw as Peter Quint in Tour 2014. Could you tell us a little about your history at Glyndebourne and the role it has played in your career? Glyndebourne has played a huge role in my career, ever since I joined the chorus in 2010 and was selected as one of the Jerwood Young Artists. They’ve invited me back almost every year since, which is wonderful. I feel a real sense of their belief in my ability and it always feels special to come back. I’ve been very lucky. Don Giovanni (Duncan Rock), Don Ottavio (Anthony Gregory) and Donna Anna (Anna Maria Labin). Photo: Tristram Kenton. It’s quite a journey from Flute, the bellows-mender, to the noble Don Ottavio, who swears vengeance on Don Giovanni. How do you manage this navigation from comical to noble character? To be honest, I’ve never found switching characters particularly tricky. I think within a rehearsal process of four or five weeks there’s so much time to really focus on the characterisation that it’s usually quite a smooth transition by the time the shows start. At least that’s what I hope! Flute is very much an ensemble character, who is never on stage without the other Mechanicals. Don Ottavio is one of the key roles in Don Giovanni, with a well-known, defining solo aria. Are you looking forward to this step-up in stage presence and vocal demands? It’s always a challenge singing in different spaces, but it’s something I’m used to. 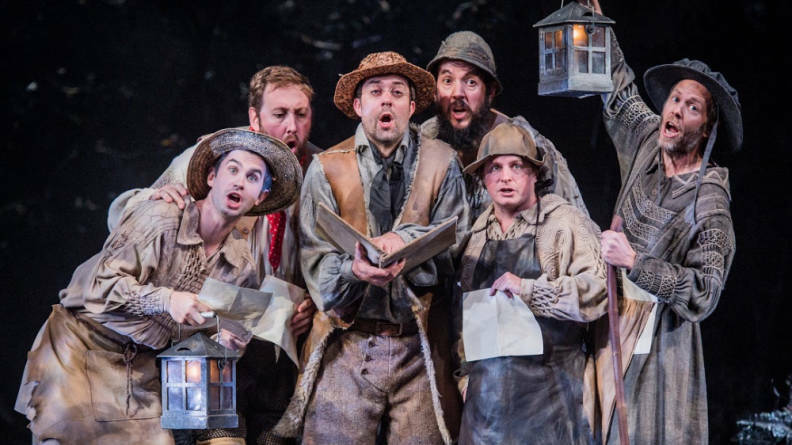 I was lucky enough to sing with English Touring Opera when I was younger and that gave me great exposure to singing in different acoustics on a weekly basis very early in my career. We’re lucky enough to have a lot of shows at Glyndebourne before we tour so hopefully I’ll be well prepared. Masetto (Božidar Smiljanić), Donna Elvira (Magdalena Molendowska), Leporello (Brandon Cedel), Donna Anna (Ana Maria Labin) Don Ottavio (Anthony Gregory) and Zerlina (Louise Alder). Photo: Tristram Kenton. Sleep! I have a little baby girl so catching up on some sleep will be the main aim (though I’m not sure she’ll give me much chance)! Professionally, I’m singing at ENO in the spring before coming back to Glyndebourne next summer and reviving a production of Alcina at the Bolshoi in the autumn. 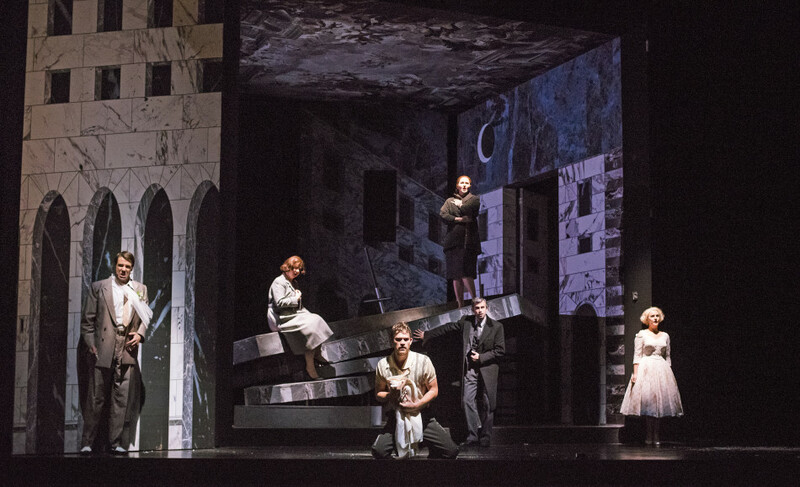 Don Giovanni is on stage at Glyndebourne from 15 October-4 November, before travelling to Milton Keynes, Canterbury, Norwich, Woking and Plymouth throughout November and December as part of Tour 2016. The Don Giovanni cast and orchestra also appear in Don Giovanni: Behind the Curtain, an exciting new event exploring the essence of opera.